This stunning photo was sent to me by the clever folks promoting Day At The Lake. I think it’s overflowing with potential stories. Every love affair is something of a high wire act, requiring patience, trust and strength. Is this man proposing, apologising or entreating? 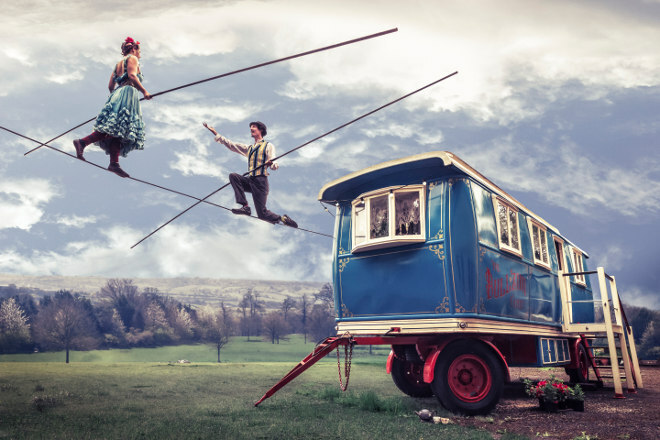 This entry was posted in Writing prompts and tagged circus, inspiration for writers, story ideas, writing inspiration by Judy. Bookmark the permalink.